The Friend for Hire system has been built into the game since day one meaning that Ubisoft had co-op in mind throughout. This means that the entire campaign and all the side missions are open to play in co-op, all you have to do is finish the introduction and invite a friend. Far Cry 3 and Far Cry 4 both had co-op elements in them, but neither comes close to the potential from this outing. There are some good sounding feature, including all the missions and side-missions being designed with co-op in mind and loot being specific to each player so no fighting over the best guns. Like with many co-op titles the host will be the only one to retain the story progression, but the hired pal will keep all the loot they collected. One solution to this problem is to play the game through with the same person. 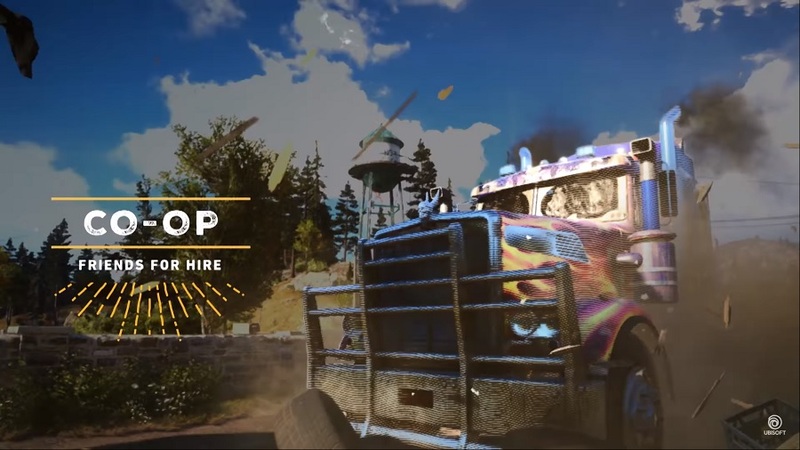 Far Cry 5 is a 2 player online co-op game coming to PC, PlayStation 4 and Xbox One on the 27th February 2018. Page created in 0.2802 seconds.